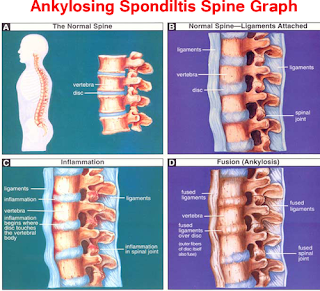 Ankylosing Spondylitis is Known AS. It Can Cause Heavy Pain In Your Spine and Other Joints Too. Its Primarily Affects Your Spine. AS Inflammation Of Vertebrae Causes Chronic Pain and You Feel Discomfort. Some Of My Known Person Relief Pain By Homeopathy Medicine. 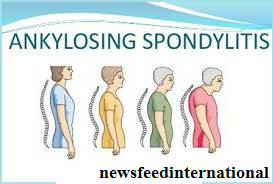 If You Are In Advance stage Of Spondylitis Then It Can Immobilize You, Fuse Your Spine, A New Bone Formation Can Found. AS Can Cause Stiffens In Your Ribs, Hips, shoulder and small joints of feet and Hands. Some Cases Told That AS Also Can Cause Eye Problem Like Iritis. Also affected lungs and heart. AS Bear HLAB27+ Gene. You Should Test That By AS Related Specialist. Whatever Your Doctor Say's To Test. AS Affected Area Is vary man to man and its severity. Let's Find Out Which area Its Affected Most and Symptom. Lower back Is an Area which You can feel worst Pain. When You Woke up at Morning you can't Move your Back Cause Of stiffness. A new Bone Can formation to your Lower Back Spine. In that Case, inflammation Can heal Over many Years. Spinal Fracture Can Cause and restricted Your Movement. Not everyone Goes Through This. 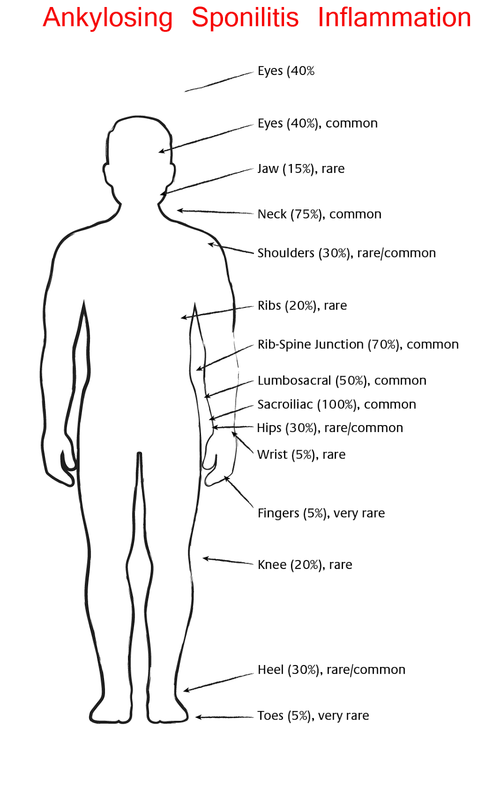 Shoulders And Hips are affected too in this AS. People of Ankylosing Spondylitis Can Affect Shoulders and Hips With Chronics Pain. Neck Pain is So much not tolerable. if Your Neck is stiffed then you can not move your neck. Is There Any Medicine From Homeopathy? Ans: Ankylosing Spondylitis (AS) is one of many forms of chronic inflammatory and degenerative arthritis, affecting the spine A.S. especially affects the joints between the vertebrae of the spine and the joints between the spine and the pelvis (sacroiliac joints). It may also affect other joints of the body. The joints are initially inflamed and this may be followed by progressive stiffness and inflexibility. It eventually leads to the fusion of the spine, giving permanent painful stiffness of the back. It is often called bamboo spine, as the spine tends to get stiff like a bamboo. This condition is more common in males as compared to females and usually occurs in individuals between 16-40 years of age. 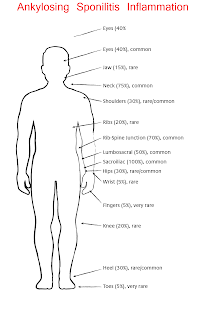 Ankylosing spondylitis (AS) is a deep seated immunological disease, which requires treatment at a deeper level. The conventional treatment alone is not enough in most cases. Added homeopathic medication is strongly suggested for better control and long term management. It calls for internal, deep acting homeopathic treatment. Is there any treatment to stop spondylitis condition? Ans: Acute back pain, which is more common than chronic pain lasts from 4 to 6 weeks and typically gets better on its own. After the complete duration of the treatment, patients advised continuing for a long time, ostensibly to strengthen the soft tissues and muscles holding the bones in the spinal cord. Over 50 % of cases treated give good relief. I know this from my experience of an Ayurveda clinic for 3 years where we provided a variety of Ayurveda massages. Ankylosing spondylitis is a type of arthritis and can affect a part or almost the whole of the spine. It manifests itself as pain and stiffness from the neck down to the lower back. In severe cases, vertebrae may fuse together, resulting in a rigid spine. Definitely, there are cures and most doctors begin by prescribing non-steroidal anti-inflammatory drugs, which reduces pain but are not a lifelong solution but a symptomatic cure which removes the symptoms i.e. pain. It does not remove the restraints of movement. These may be followed by muscle relaxant drugs and anticonvulsants. They are also of limited help. A longtime complaint may lead to depressions for which anti-depressants may be prescribed. Many of these drugs can be purchased over the counter in India. I think, knowing some people suffering from this who have gone over a year this line of treatment is chance and over the long run expensive with slight relief and more pain and depression best avoided. Chiropractic treatment is another line of treatment. It is hugely popular in the west and recommended for pain due to accidents, sports injuries, posture issues and muscle strains. Many pain specialists recommend chiropractic in India and the west including for ankylosing spondylitis. Chiropractic treatment is essentially massage by a trained masseur and to this can be added heat treatment to the affected and adjoining areas like radiation, electric currents etc. Spinal manipulation and chiropractic care is a safe and effective treatment for acute low back pain. Along with this treatment, a regimen of exercises is recommended, which could vary from once to ten times a day. Chiropractic is helpful in treating a variety of neck pains, headaches, osteoarthritis, and fibromyalgia. When other pain treatments have failed, spinal cord stimulation may be an option, which is electrical stimulation procedure that delivers low-level electrical signals to the spinal cord or to specific nerves to block pain signals from reaching the brain. I do not think this should be resorted to, but is a line of treatment open. I use the word chiropractic for a good massage that truly treats and offers many health benefits but there are over 50 different types of massage techniques, types, and wellness clinics, like mine, offer lots of options on their services menus. All treating different needs and providing various benefits- Ayurveda massage, Hot Stone Massage, Deep Tissue Massage, Trigger Point Massage, Neuromuscular Therapy (these could be wonderful massages for pain relief). I live in Bangalore and have used a facility called “Recoup” for shoulder pain I suffered from 10 years ago. Recoup has centers in Bangalore, Hyderabad, Delhi, and Madras. Head office is in Bangalore and it gets patients from all parts of the world. If you want contacts and telephone numbers, you can ask me. Recoup has a website also. I recommend it heavily. Sometimes a group of nerves, called a plexus or ganglion, can cause pain to a specific organ or body region, including the spinal cord. Pain can or may be blocked with the injection of certain medicines. This is provided by pain labs in big Indian hospitals or specialized set ups and acupressure and acupuncture from reliable sources. Lastly, there is spinal surgery, quite rarely done and is called Laminectomy. If You Have Any More Question About Ankylosing Spondylitis Feel Free to Ask. We Personally Try To Make A video for better Solution.